Victor's love for music began as a youngster growing up in Brooklyn, New York. At a young age he was intrigued by his father's huge record collection of jazz, blues,electronic,disco,new age,rock,soul,classical,new wave,ethnic, and world music. His parents could see he was talented at an early age and encouraged him to listen to all kinds of music. With this encouragement, and guidance of his parents, Victor took lessons in piano, drums, guitar and bass, as well as voice lessons. But something was missing.I liked trying all of the instruments, but nothing really grabbed me.By the age of 11, he began tuning into NY's Radio Mix Shows on WBLS, WKTU and WXLO, (which later became WRKS,98.7 Kiss fm) and this is where he discovered the Art of mixing. When I started spinning - I just simply got lost in the music," Victor said. Victor's career as a DJ started at a tender age , assisting his father. In 1979 Victor played one of his first parties with his Dad. It was a party which his Dad organized at Dance Hall (which became a seasonal event in the years that followed). In Autumn of 1982 with his Father, he entered a Tommy Boy Records Master Mix contest via Mail, (promoted via Tommy Boy Rec and Dance Music Report Magazine) , sending A master Mix which Victor and His Dad had done (of Tommy Boy Rec's Tracks). The winners of the Contest (who's mix was featured on Tommy Boy Triple Album) turned out to be Tommy Musto, Tommy Sozzi , and Ralphie D (who Victor did not know at the time), though who were also Brooklynites. Within a year Victor started spinning at mobile parties on his own. It was here that he learn his craft and began to develop and fine-tune his ear for music noticing what tracks to play and which ones had the greatest effect on the crowd while he was spinning. His Mother heard had a friend with a small club that was closing it's doors, and bought Victor their whole Record Collection before closing. By the end of High School Victor could not help But notice that , something was not right, “I wanted to not only mix the music," Victor explained, “but I wanted to create the whole production". Attending and graduating from the 'Centre For Media Arts' was the first step in that direction. In 1987 after just about a year of trying to get an entry level position, Victor was hired for the job at Shakedown Studios, owned by the legendary producer, Arthur Baker - a breeding ground to the likes of David Cole (Who taught Victor how to determine the difference btween a succesful hook , and a not so memorable hook), Robert Clivilles (who advised Victor on getting good sound techniques) ,Danny Krivit, Benji Candalario, Albert Cabrera, Junior Vasquez (who gave victor many editing tips), and Bobby Konders (who learned to edit from Victor and who showed Victor Radio from the inside) , to mention but a few. Victor started his internship at the studio, and it was not long before his unique talent was discovered and he was given the opportunity to produce, mix and edit a wide range of projects for artists including: David Bowie, Will Downing, Talking Heads, Quincy Jones, Deborah Harry, Sinead O'Connor and Al Jarreau. During this time , Victor practically lived at Shakedown sound , in room with Tapes from Rick Rubin to Diana Ross , from Paul Simpson to Rolling Stones , from Afika Baambata to Hall and Oates. In late 1988, Victor merged with Lenny Dee to form the Brooklyn Funk Essentials, a remix/production team that worked on projects for Pajama Party, Al Jareau, Denise Lopez, Arthur Baker , Robert Owens , New Order. Lenny had arrived at Shakedown after working for Nile Rodgers (lead member of Chic),Skyline studio, as an intern. It was at this time that Victor completed one of his first productions on Criminal Records. His productions for Criminal, Vendetta (run By Larry Yazgar , who assisted Victor in Learning the importance of a 7" version) and other labels such as Fourth Floor and Nu Groove began to get him noticed. It was not long before a line of labels across New York were beating a path to Victor’s door such as Strictly Rhythm, Eightball and Maxi to mention but a few.He began to collaborate on Projects with other Producers as well , such as Danny Krivit , Satoshie Tomie , to mention but a few and Simultaneously he signed a management deal with 23 West and went on to join a roster that boasted Masters At Work and C&C Music Factory. He then moved over to Def Mix and was joined by Frankie Knuckles and Dave Morales (Who's initials , DM , are the basis of Def Mix) and continued to work with Nu Groove and Fourth Floor. 1989-1991 saw Simonelli involved in many high profile projects, notably, composing Sybil's single, "Oh How I Love You" (Next Plateau/London), arranging and editing James Brown's album, "Love Overdue" (Scotti Bros) as well as BeBe and CeCe Winans single featuring Mavis Staples, entitled, "I'll Take You There" (Capital). Victor was also on the production and mixing team for the Quincy Jones single, "I'll be Good To You" (Qwest) featuring Chaka Khan and the legendary Ray Charles. Yvonne Turner , and Boyd Jarvis called on Victors talents on projects they were working, including Gwen Guthrie and Hamilton Bohannon. Brian Chin ex Billboard columnist , introduced Victor to Hamilton Bohannon , and Bohannon invited Victor to his home , where he explained to Victor the importance of Confidence in Self in connection with success. During this time Victor also wrote and produced for Martha Wash (unreleased project) and Sabrina Johnston (first recording as solo artist). When Danny Tenaglia moved back to NY during this time , (after spending most of the eighties living in Florida) , he saught Victors advise on one of his first Productions , playing demo for Victor before anyone else. Upon listening , it was clear for Victors ears what label it would work with. After Victor put his Edit/Arrangement touch to it , at the new Shakedown studio what became "The Harmonica Track" was ready , and then released on Arthur Bakers Minimal Records (which in later years was to be licensed onto Maxi ,and also be contained on Dave Mancusos Loft Compilation Box Set). Nile Rogers (Of Chic) and Victor met during this time , and Nile told Victor the importance of remembering Dreams (Reinforcing lesson Victors Mother taught him earlier in life) , and How many of the Chic tunes that he wrote were dreamt , having his guitar in his room with him , he would awake and put them down as they came. By 1992 Victor began receiving calls to DJ at clubs from countries as far away as Japan , thanks to Victors engineer of the time , Gomi. It was also at this time that two of Victor's tracks, "Feel So Right" by Solution and "I Want you To Know" by Groove Committee (which Larry Levan championed in his sets at some of his final gigs in Japan) went on to become a significant piece of the ‘Simonelli Sound’.Todd Terry , approached Victor to commend , him on his works , and to license Production from him. Todd told Victor , "When you got a sound thats working , just keep on with it". 1993 saw Victor working on "In The .Closet" by Michael Jackson, featuring The Mystery Girl, Madonna (their only ever duet). At this point he began pumping out productions steadily,such as the blinding, "It's So Good" by Creative Force , which then new to the business Mathius Heilbronn Engineered. The unforgettable , “I Know A Place” by Sound Of One , which Roger Sanchez released on his first Label at the time , and the classic "Dirty Games" on Nu Groove (USA) and Vinyl Solution (UK). Street Players Vol 1 EP was also made this year , which went onto inspire the making of Kenny Dopes "The Bomb" (which was created a couple of years later by Kenny). Deep Dish had not yet formed but both Sharam and Dubfire approached Victor and asked his advise on making tracks , equing , mixing , etc.Shortly thereafter they formed Yoshi Toshi Records and began Producing themselves. During this year Victor made his first of many trips to England,and helped set up Suburban Records with Tommy Musto who also owned Fourth Floor Records at the time. 1995-1996 saw Victor signing a record deal with MCA Records for a compilation series entitled, Sound of Simonelli. His DJ Gigs had reached the point of another weekend, another country. Due to so much European work, Victor decided to expand his corporation and set up VJS Productions, Inc. Europe.In NY, amongst his many mixes/productions in the works Vocalist Michelle Weeks feautured on her first fully credited release , Groove Trend ft. Michelle Weeks - Don't Stop was mixed by Victor and Tommy, introducing and launching Michelle Weeks onto the scene. By late 1996 VIctor was putting the final touches on the European extension of his company in Rome. 1997 saw Victor broaden his business by setting up a Recording Studio in Rome. In addition he began his own Record Label called West Side Records which had three releases as of October ‘97. 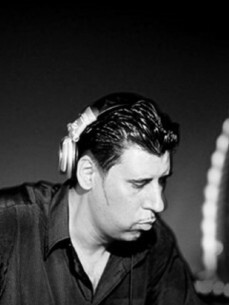 As well as cultivating new talent such as Kings of Tomorrow/Sandy Rivera (whos first Remix ever , was for Victor) , Johan S. and Soul Creation, (Jose Burgos, and Duece Martinez), (On West Side's first and second releases) as well as his own productions on the label.DJ Sneak just beginning for the most part , utilized Victor talents on his Polyester vol 2 Ep on track , Come Together , released on Henry Street Records this year.AM-PM Records new to the scene , started to call on much of the Talent that Victor assisted in bringing forward , and based theirselves initially on this sound for the most part.After a Few Years of Productions/Mixes Created and Released for Bassline Records / Big Big Trax with Victors assistance , Mark Pomeroy and Brian Tappert branched out around this time to form their own label , Soulfuric Records. 1999 Groove lift, now about a year old, Began to take form. Mr. Mike (of Switzerland, and the Host of the Program.) along with Charles Schillings (Paris) Djamin and Victor were now residents, rotating monthly and bringing the world the best of the worlds cutting edge Dance Music. Each Program Broadcast live from Select Clubs in Switzerland and by mid 1999 had millions of listeners and followers. WestSide Records continued it's growth as well by releasing Latin Impressions 1 & 2, containing the famed, "Bateria", Laura Alford's “Hold on To Your Good Thang" mixed by the up and corning Pound Boys. “How Many Tears" featuring poetry by New York's Liquid Sound Lounges, Jeanie Hopper, Containing Victor's own, "Soft and Sweet" on the B Side, and "Take Me" by Roberta Gilliam, written with Satoshie Tomie and Remixed by E. Smoove.It was also this year that Eddie Amador released "House Music , (A Spiritual Thing , A Body Thing , A Soul Thing)" , which based itself over and around base track of Victors "Feels So Right". 2000 Victor began the Millennium in a big way by forming his European Label, Stellar Records and signing a distribution deal with Level One Distribution (owned by Joe T Vannelli at the time) , based in Milan. With an initial release schedule including singles by Mr. Mike, Connie Harvey, Robert Owens, DJ Ray Roc, Davidson Ospina, and the cultivation of many new talents, such as Junia Ovadose , Sergio Matina , and Vincenzo Sortino The new century looks "Stellar". In 2001 Victor mixed the Groovelift Vol 3 compilation for DJ Beat Records.Amongst many remixes done,some highlights of the year we're " I Wanna Rock You" by Giorgio Morodor and "Dance Little Dreamer" by Kym Mazelle. Victor spent some time in the studio on Productions as well,of which included "If Ever You're Lonely" by Joi Cardwell on Stellar.The end of the year brought administration and staff change to Couleur 3, which closed the Groove Lift chapter.It was also this year that "Salsoul Nugget" (Produced by Ricky Morrison) was released , which in few words , was simply a re work of Victors "I Know A Place".Label Defected (where AM-PM Rec left off) starting to pick up release schedule and utilized much of talent that Victor assisted in introducing to the scene including Jay Jay , Jazz and Groove , Angel Moraes , John Julius Knight , Julius Papp , Sandy Rivera , and many others , all of whom did (in most cases many of) their first releases in collaboration with Victor.